In the last week for me to look inside my blog before heading back out into the wild for my Friday Favorites, I’d like to focus on the top ten collections that have been part of this feature. While I love everything I include on Fridays, there were a few that all of you out there loved just a little bit more. If you click on the topic below the number, it will take you to the Friday Favorites collection with that theme, and if you click the photo it will take you to the blog or site that specific project is from. Enjoy! There are some crafting trends that you wouldn’t think would last all that long, but seem to anyway. Chevrons, chalkboards, moustaches and mason jars have been declared dead more times than I can count, and yet they’re still everywhere. Owls were another on this list that I thought we’d never see the end of. I’m still wondering. The only snow we got this year was back in November or so, and it was only a light dusting that lasted all of five minutes. I know I shouldn’t complain with everyone out east getting bombarded, but I need to see some snowflakes. It’s a little weird to talk about Valentine’s Day so close after it just happened, but this one is on the list. There’s never any shortage of cute Valentine’s crafts and recipes out there. This collection was from the moment when I finally got what Pinterest was all about. You know, the point at which I lost all my free time. This is always one of my favorite round-ups to do each year. There are so many fun costumes out there, and so many cute kidlets wearing them. I’ve had so many Christmas themed Friday Favorites over the years, I couldn’t really tell you why this one made the list over the others. It is filled with holiday deliciousness though. While there are lots of great ideas in this one, I know exactly why it’s on the list. The project shown in the photo is one of my busiest pins. This just goes to show that guys are tough to DIY for, and everyone is looking for ideas to fit them. Including me. I could write a hundred of these collections that focused solely on t-shirts. This craft staple is always fun to work with. 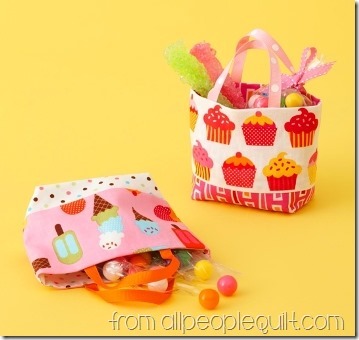 Fat quarters are so easy to find, inexpensive to buy and fun to sew with. It’s no wonder my most popular Friday Favorites theme would revolve around the many things you can do with them. If you haven’t had a chance to enter yet, you have until Sunday, March 8th to get in on the Uncommon Goods giveaway, the Kitchen Set giveaway and the DIY giveaway to celebrate 5 years of Crafty Staci!